Zip Zap performers will be taking to the stage to put on a show to “thrill and delight” Cape Town’s audiences at the Zip Zap Dome in the Foreshore on April 20 to 22. This time, Zip Zap will be bringing a story of wheeling wizardry to life. ‘Cirque My Ride’ is directed by Zip Zap’s co-founder Brent van Rensburg and will be performed by the entire Zip Zap troupe from all walks of life. “The audiences can expect ordinary kids doing extra-ordinary things with performers demonstrating courageous skill,” says van Rensburg. ‘Cirque My Ride’ demonstrates Zip Zap’s ethos – kids of all ages, genders, shapes, colours and sizes from all backgrounds, getting together to perform on stage as one, showcasing their skills and abilities that have resulted from the time, effort and energy put in to years of copious hours of practice. “Onlookers are in for a treat. 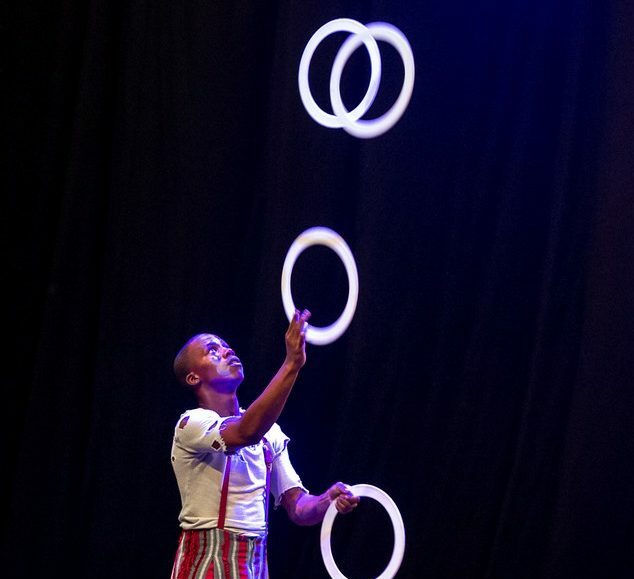 We have created a show, inspired by the many different uses of circles and wheels and will be using this motion and shape to drive the links throughout the show,” says professional performer and Zip Zap youth programme officer, Jason Barnard. The show promises to take the audience on quite the ride, winding its way through a display of aerial artistry and comedic acrobatic antics. All shows are 1 hour 30 minutes and include a refreshments interval. * This is a show for the whole family. Contact Marcelle on 021 418 0550, or at marcelle@zip-zap.co.za, for more details and discounted group rates. Purchase your tickets via www.quicket.co.za.